Opendesk‘s latest pieces of furniture, the Bundle Desk and the Linnea Bookshelf, can be assembled without the need for any tools. 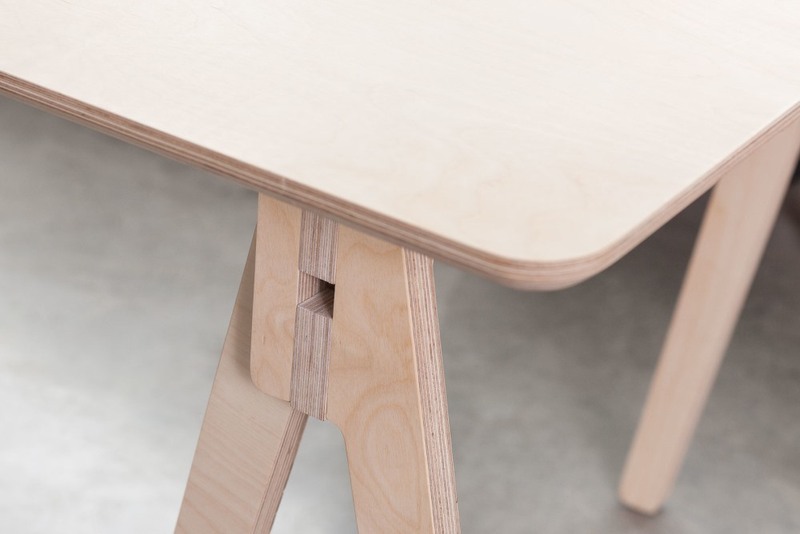 The Bundle Desk, designed by Thor ter Kulve, offers a new take on the traditional trestle. Easy to set up, take apart and store away, the workstation provides flexibility and mobility. The design was inspired by Japanese joinery techniques and consists of five pieces held together by slots and compression fittings. What’s more, the Bundle Desks function effectively as single workstations and a number of them can be placed side-by-side or back-to-back to create larger work areas, enabling users to seamlessly switch between collaborative and private working. 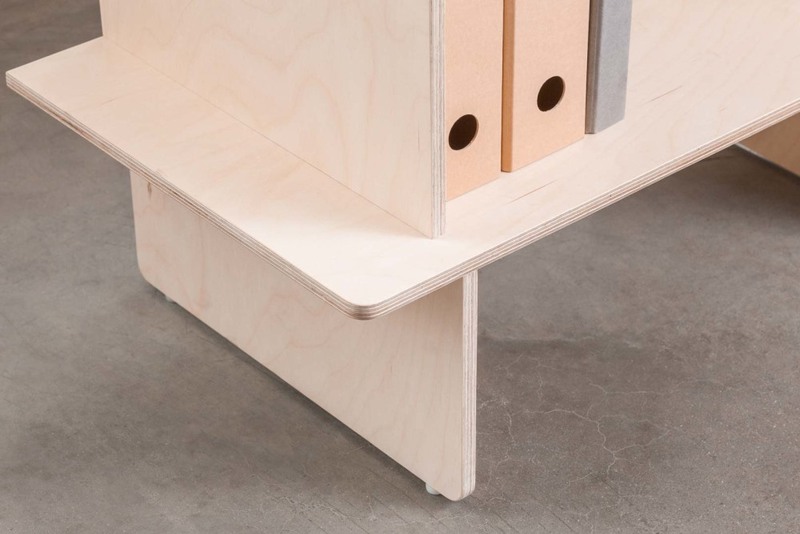 The Linnea Bookshelf is a lightweight shelving system designed by Sam Devenport and Pia Narula that also takes inspiration from traditional joinery techniques. Its joints and compression fittings strengthen the bookshelf without requiring unsightly nuts and bolts. The open shelving has plenty of space for files and books, while its slim profile makes it perfectly suited for displaying ornaments, awards and pictures. Each shelf extends slightly beyond the vertical supports, providing a small perch for placing lights or plants. Opendesk’s range of furniture is designed to be manufactured by a network of independent makers located all over the world. This model of manufacturing, which they call ‘Open Making’, is made possible thanks to Opendesk’s alternative supply chain, which sees designers sharing designs for products that can then be downloaded and made locally using the latest digital tools.